After the dramatic Weekend Ka Vaar episode, the housemates will gear up for yet another twist at the Bigg Boss 11 house. The four padosis (Lucinda Nicholas, Luv Tyagi, Mehjabi Siddiqui and Sabyasachi Satpathy), will be introduced to the housemates, reports Colors TV. However, they will wear masks so that their identity isn't revealed. As the padosis are introduced, the housemates will get curious to know about them. 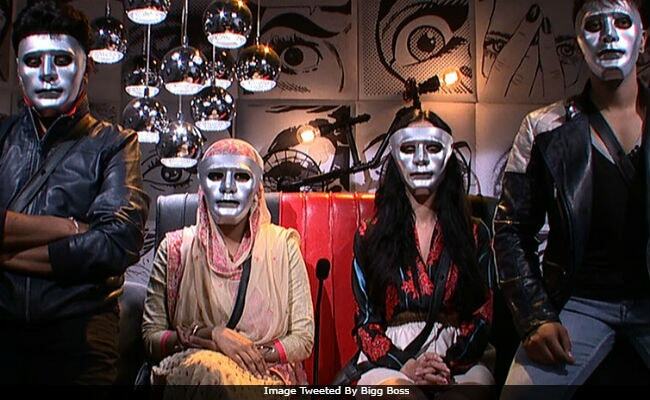 Salman, during the Weekend Ka Vaar episode, had revealed that they would be seen entering the house but they shouldn't reveal their identity. On being asked about whose the 'smartest' contestant, the padosis said they have to be extra careful in front of Hina Khan and Hiten Tejwani. Meanwhile, the Shilpa Shinde-Vikas Gupta controversy will continue today as well. Shilpa, will annoy Vikas through her taunts and Vikas, reacts to it. They both will engage in war of words (yes, again). Vikas, who is agitated by Shilpa's behaviour will throw eggs on the floor, which will irk the other contestants, who tell him to not waste ration over their personal fight. Hina, Hiten and Puneesh will take stand against their fight while Sapna criticizes Shilpa for annoying Vikas every day. Later in the day, Shilpa and Vikas' fight will take an ugly turn and but both of them warn each other of bitter consequences if one touches the other. How will the housemates react after the padosis are introduced? What turn will Shilpa and Vikas' fight take? Who will be nominated today? These are some of the questions which will be answered in tonight's episode.